I've been a bachelor all week (until tomorrow) so I've had lots of time to lurk around in blogland. 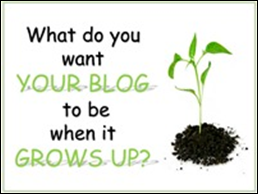 Early in the week I came across a post over at Thistlewood Farms titled What Does Your Blog Want To Be When It Grows Up? She and 4 other blogger friends had gotten together to talk about their own goals and decided to co-host a link-up where fellow bloggers would identify 5 goals for their blog, blog about it, and then hook up to the party on Friday, March 2. I thought it was great idea, and promptly decided that it would be good for me to join in. I should have written the post right then as well, because here I am on Thursday night, reticent to do the post. Do I not have goals? Of course I do. Do I want to share them? Probably not. In an effort to procrastinate I first want to show you what I had for dinner. The perks of bachelorhood are many...eating the chocolate pasta that has been in my cabinet for 2 years for dinner is one of them. So now I'm satiated, listening to good music and ready to get down to business. First - I want my blog to be authentic. I've always pretty much been a "what you see is what you get" kind of girl - so this comes pretty easy for me. But there are a lot of blogs out there with some pretty fascinating people running them and I sometimes find myself wanting to be funny like them, or technically skilled like them, or easy-breazey like them. On Jan 6th I posted my first creative post and started it out with this quote "Its not who you are that is holding you back - it is who you think you are not." I remind myself of this often because it's so important. So I just put myself out there hoping that I find a place to fit in somewhere. So far I think I've been pretty real - and occasionally I've even been funny. Second - I want my blog to be Quirky, attractive and easy to navigate. I have set some pretty boring goals related to the mechanics of blogging. I have goals for how many times I will post weekly and how many new "skills" I will learn weekly. Boring I know but I don't believe that my blog will grow (or interest ME) if I don't pay attention to the details consistently. This one is hard because you have to start somewhere. I am being patient with this - there is a lot to learn. Third - Of course I want better photography. Achieving this goal will involve learning to take advantage of my good camera and learning PhotoShop WAY BEYOND what I know now. Fourth - I want to be consistent but FLEXIBLE. I want to remain open to any direction this blogging exercise takes me. It is my belief that this blog a first step in an exciting process of me moving a new direction in my life. I have some ideas about where I would like to end up, but I am remaining pliable in order to be receptive to whatever comes my way. Fifth - I want my blog to be encouraging and influential. To do this I have to put myself out there.......whether that means facebook, twitter, - whatever. I didn't start on facebook until last November, and I only did that because I was going to start blogging. 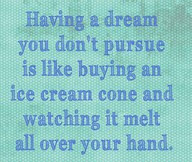 I have been too inwardly focused since I moved to Michigan 6 years ago. This blog helping me to get out of myself - I needed that. Well there it is. On paper. Out in the world. oh, and I want comments! And follower friends! Thanks for stopping by my blog and following--I'm doing the same! 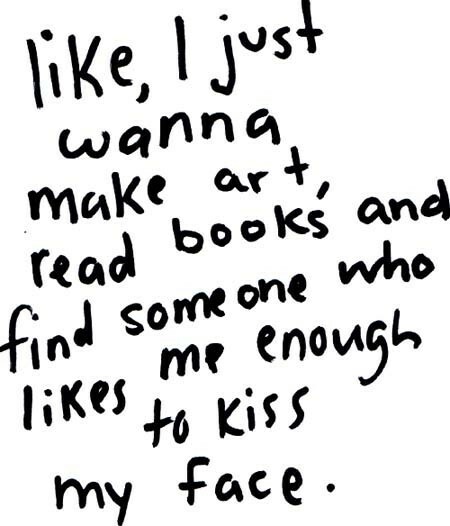 And I'm not necessarily unambitious...just old and tired! I like your blog goals! I am also trying to utilize a fancy camera for better pictures, but it isn't as easy as I thought. I'll keep trying! Loved your quirky goal post (hey, I made a pun). Thanks for visiting and your nice comment. I'm following back. My friends call me quirky and we quirky types have to stick together! I haven't joined this party (still considering), but loved your goals - it definately is inspiring to read everyone's answers ! Glad to meet you and as a fellow poster to this party I certainly relate to your goals. I too am working on my photography and all that you mentioned. By the way ... chocolate pasta, never heard of it ... what kind of sauce did you use? I'm a bit of a foodie myself so I'm curious! Oh, that photography thing...it keeps showing up. I think I may be encouraged to tackle it...soon. Really. great goals! I'm using instagram for my photos. 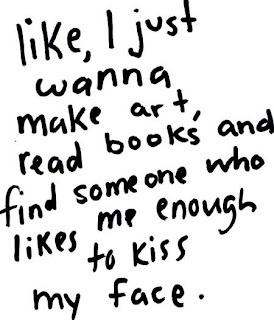 It's all I have. Totally lame, but it is what it is. I also love your quote about being held back :) I think it's so true! What fabulous goals! 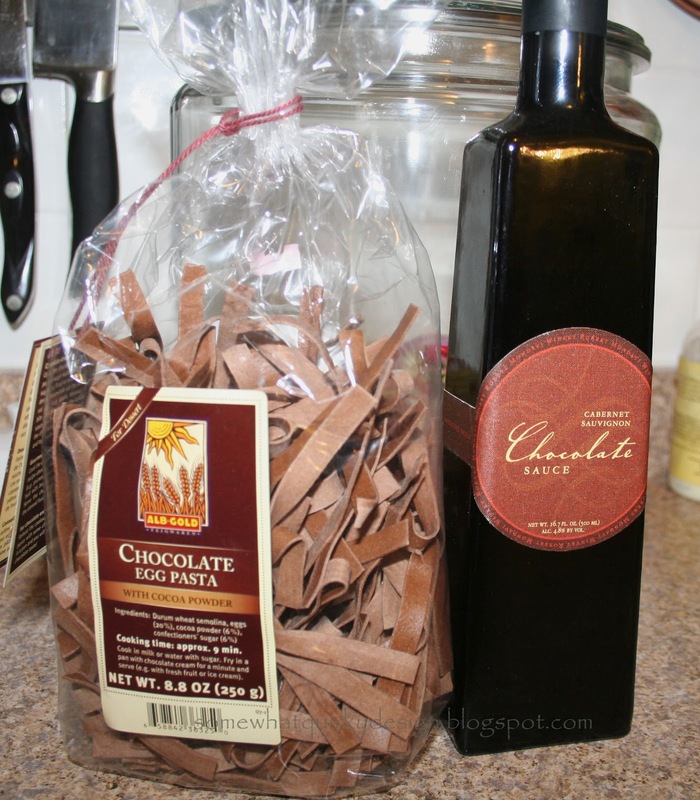 You had me at chocolate pasta! Love quirkiness so of course I know I'll love you! So glad you joined our party and of course I am now a Linky follower! Hey Karen, Stopping by from the link party! I can totally relate to wanting to be like others bloggers! I think it's a 50/50 kinda thing, i read a blog 50% for the content and 50% for the person who writes it, because i feel like i can relate to them in some way!! Good luck with your blogging i'll be following along! I can help with the comments part! I love how in blog-land we can be what we want to be, be quirky, since that is who you are, and people will come to see "you". 1) thanks for linking up to the party today. how awesome to get everyone to share. 2) how was the chocolate pasta? Hope you will stop by my neck of the woods sometime. If so,fresh pasta ,ok ? I can identify with many of your goals and trying to be authentic yet entertaining. You know who you are but sometimes it's hard to get across in one little post! I love the goals! Thanks so much for linking up. Great goals! Now, I have to know, how was the chocolate pasta? i think these goals are SO perfect! authenticity is huge- i think each blog should be its own, quirks and all! sounds like you are on the right track! Thank you so much for linking to the party! You have a great "voice" when you write and you do have awesome sense of humor....two of my favorite things! Well said. I just found this party yesterday so had to rush to get my thoughts together. Your blog is lovely.